The Rocky Knob Bike Park is located in Boone North Carolina. 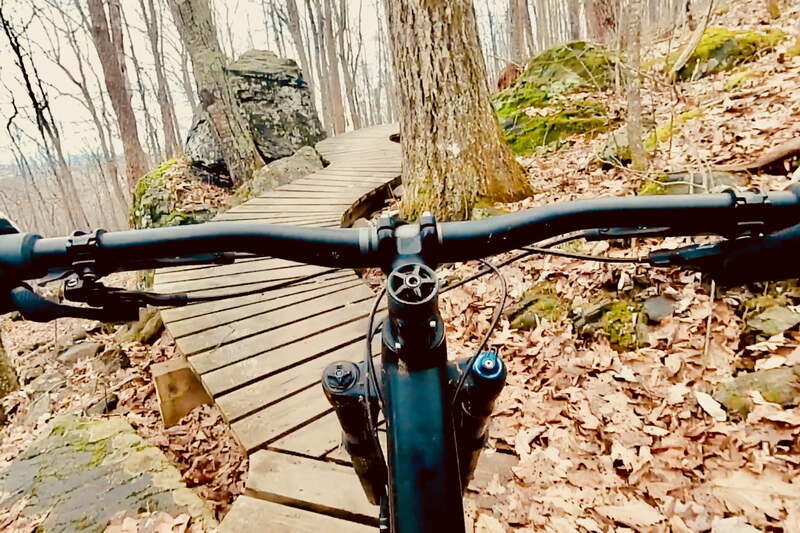 From looking at maps and videos it seemed like the perfect place to take our family for a bit more of a bike park like experience with burms and flow trails. Now I always hate to give trails negative reviews, because it could be that we just hit it on an off day, we didn’t know about some secret route, or we just weren’t having a good day ourselves, but this trail system really underwhelmed us all. It could also be that the marketing materials and hype around this trail oversell it a bit. From my 6-year-old ripper, to my wife, to my little 3-year-old, we all felt like the amount of “fun trail” compared to the amount of frustrating trail was not in balance. As noted, I can only speak for our experience on this day. The pump track was unfortunately closed and the blue loop was rather uninspiring. Beyond the blue loop you are met with a daunting barrage of switchbacks which seem to never relent. Once you finally ascend to the top of the mountain via those arduous switchbacks. You do get some fun downhill. But, I found even some of the downhill to be frustrating at times as I found it hard to carry speed through sharp turns and uphill rock gardens. Overall I got the impression that if you are in the immediate Boone, NC area these trails are great, but they are not destination trails. They did not have the same epic nature that we found in Pisgah or Dupont State Forest. Check out the full video to see the action and hear more of my thoughts on these trails.